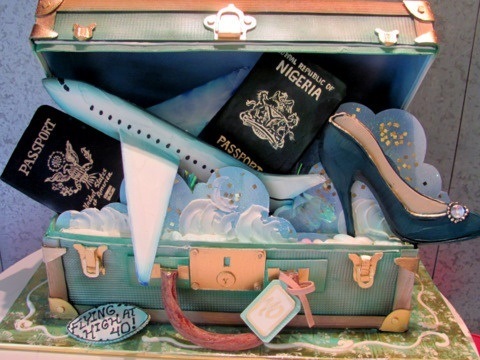 Suitcase cakes are always been popular with brides and grooms heading off on an exotic honeymoon, but they’re more popular than ever now for a whole host of occasions – as an 18th birthday cake for teenagers heading off on a gap year, as 21st birthday cakes for graduates heading abroad after college, for retirees embarking on a world tour or for wedding couples who met on their travels. 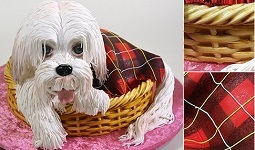 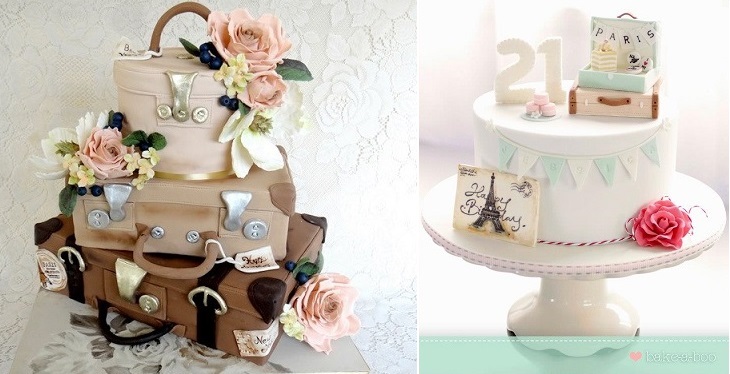 We#ve put together a selection of beautiful vintage luggage cakes to inspire you with the fabulous examples above by cake artists, Pavani Kaur of Firefly India (above left) and Elina Prawito of Bake A Boo Cakes, New Zealand (above right). 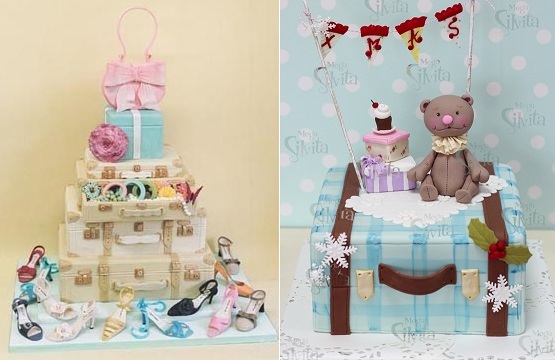 For a girl’s going away party, we have two cute pastel suitcase cakes below from London cake designer, Rachel Mount (below left) and from Blog Mega Silvita (below right). 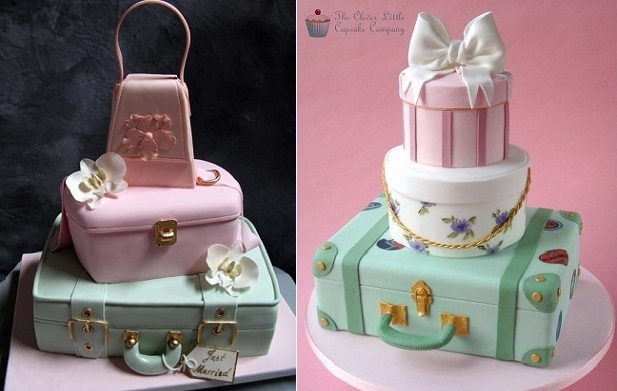 Jennifer Dontz of Sweetest Couture Sugar Delites has designed a lady-like handbag to go with her vintage suitcase stack (below left), while The Clever Little Cupcake Company have paired vintage hatboxes and suitcases in their elegant wedding cake design, below right. 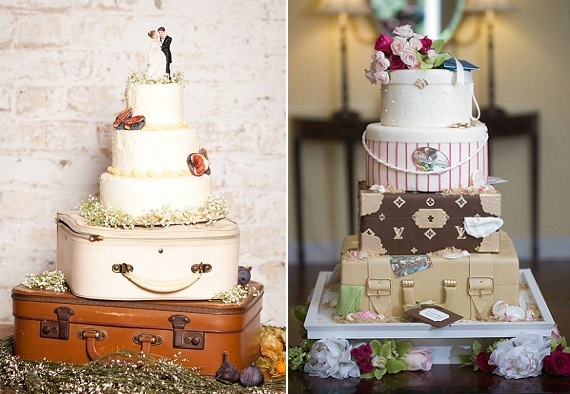 Australia’s Cake Avenue have designed a beautiful vintage luggage wedding cake below with pretty floral accents and scattered petals. 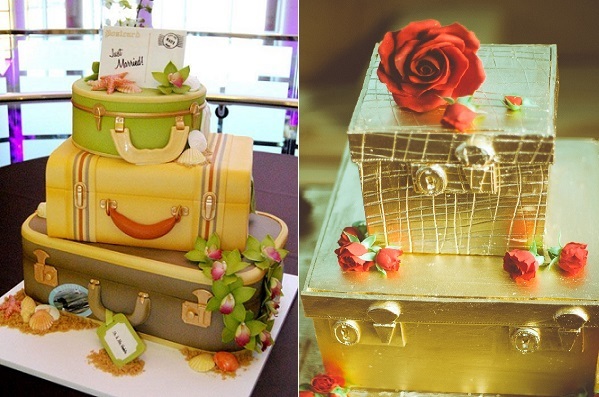 A very on-trend vintage-themed wedding cake display below left from French Made and on the right, lady-like hatboxes and luggage are crowned with a beautiful sugar flower bouquet in a very pretty design by Gateaux Inc.
Two more beautiful vintage floral suitcase cakes below from Pasteles Alma (below left) and via The Knot Wedding Channel (below right). 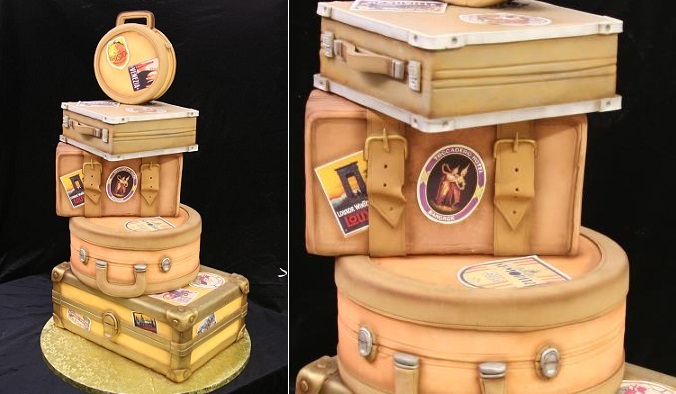 Mike’s Amazing Cakes created the old-world style luggage cake below with the terrific detailing synonymous with all of Mike’s designs. 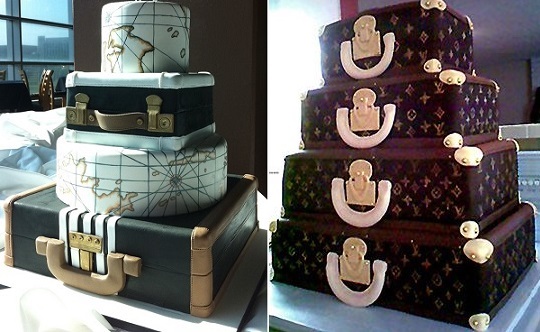 A superb cake below for globe trotters with a map of the world cleverly incorporated into the design by Sweet Face Cakes (below left) and a perfect travel-themed cake for jetsetter with a stack of design LV suitcases from OK Sugar (below right). 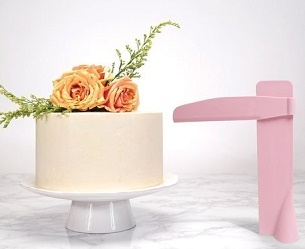 You’ll find the tutorial for the vintage suitcase cake (below left) by Jacque Benson at Sugar Teachers here: suitcase cake tutorial. 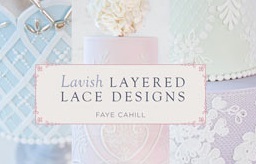 And a striking teal blue, brown and paisley-patterned design via Indulgy.com, below right. 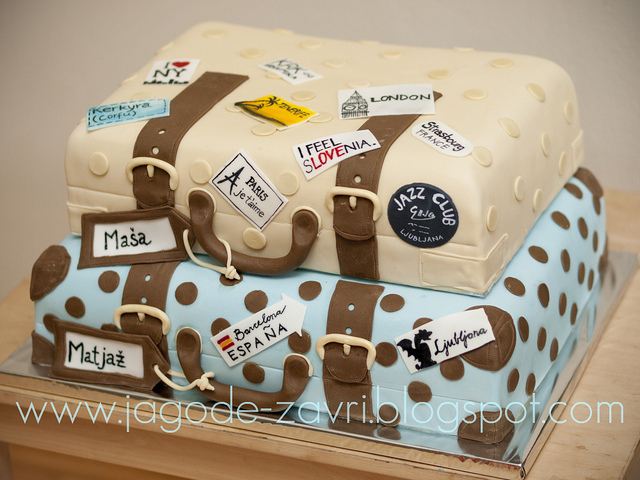 Destinations and travel tags give the funky cake below an authentic feel from Jagode-Zavri, Slovenia. 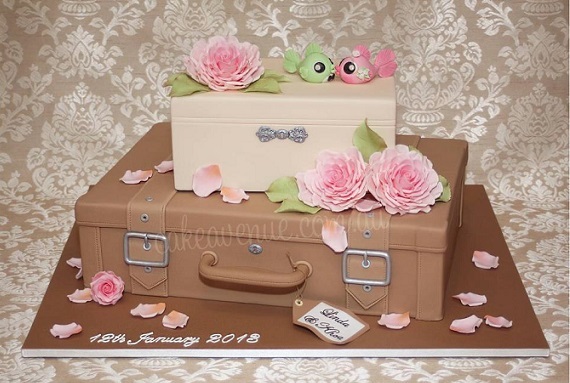 Rosebud Cakes have designed the wonderfully imaginative suitcase cake below for a 40th birthday cake. 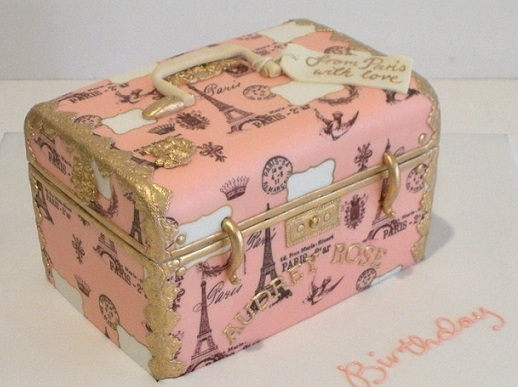 The Parisian-themed vintage suitcase cake below was design by Faye Cahill Cake Design in a soft shade of pink and gilded gold for an elegant lady’s cake. 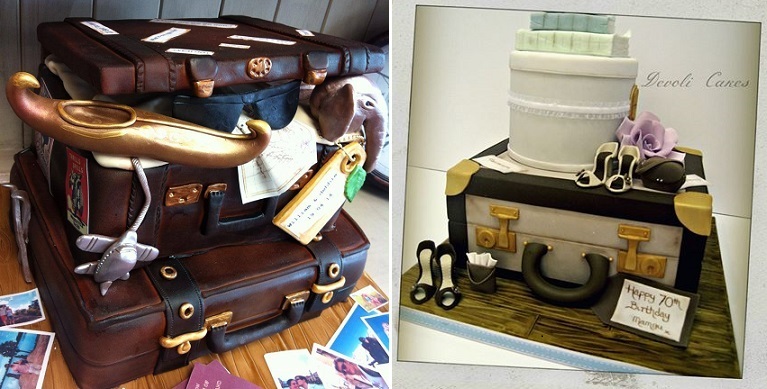 Antique style luggage cakes below with lots of great extra details by Crafty Cakes, Exeter (left) and DeVoli Cakes (right). 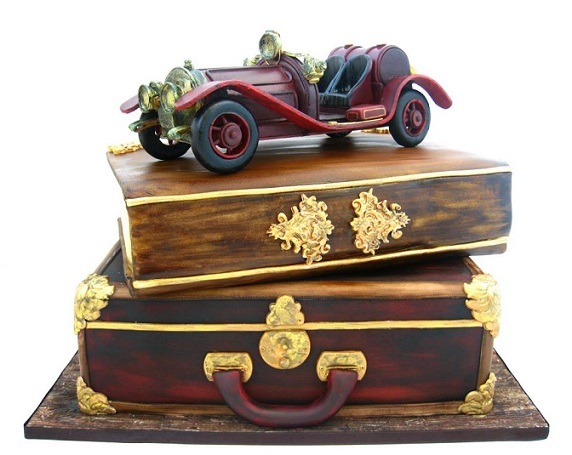 More antique luggage but this topped topped with an amazing vintage car by Cakes by Mina Bakalova, Bulgaria. 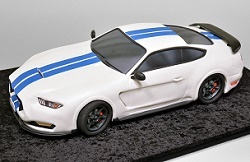 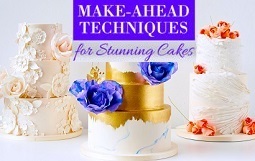 (You’ll find a fantastic tutorial on a classic vintage car by Mike McCarey available on Craftsy: Cake Decorating: Classic Car, Timeless Techniques by Mike McCarey) . 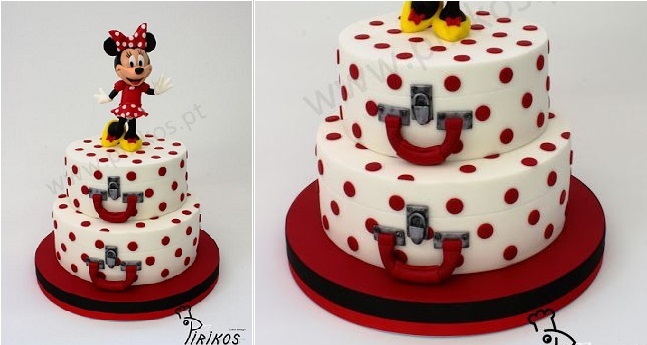 A fabulous polka dot design featuring beautiful round suitcase cakes by Pirikos Cake Design & Party Shop, Portugal. 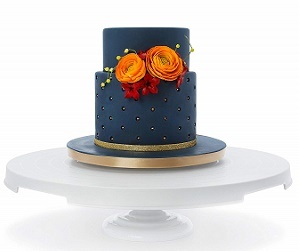 Our two suitcase cake designs are in two completely opposing styles – a 1950’s vintage suitcase wedding cake with a tropical theme below left by Gateaux, Inc. and a chic etched gold suitcase stack by Elizabeth’s Cake Emporium. 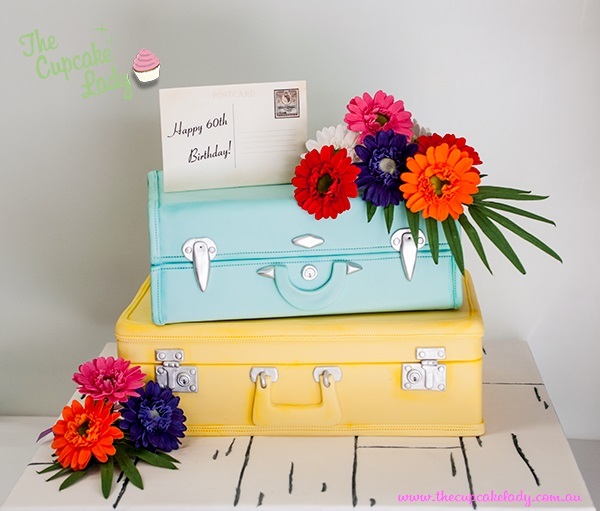 Our final suitcase design also has a wonderful tropical holiday feel – a beautiful luggage cake by Janet O’Sullivan of The Cupcake Lady, Adelaide. 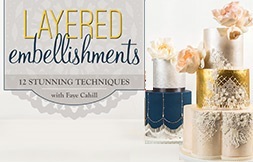 Advertisement: Craftsy also have an online tutorial on the vintage suitcases below included as part of the Modeling Chocolate Magic, with Lauren Kitchens class. 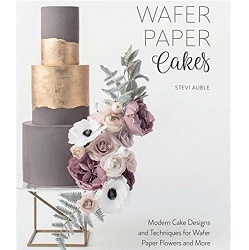 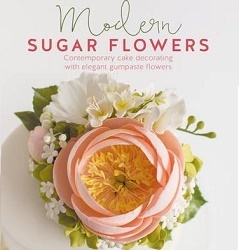 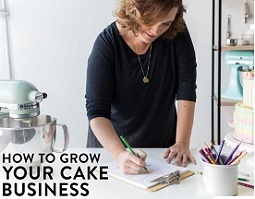 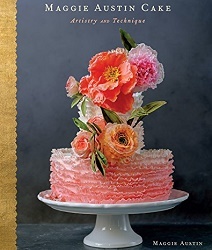 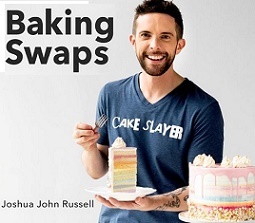 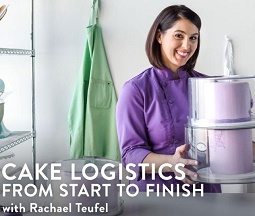 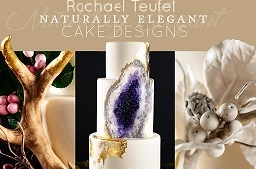 Join the Cake Geek Magazine Facebook Page for more on cake design trends and updates.